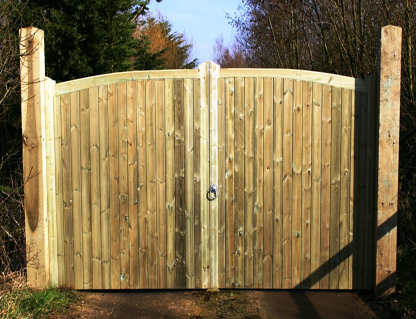 One of our most popular gates… these gates can be made as a pair (as shown) or a single with a uniform curve. They are all 1.8m high in the centre. The prices shown are per leaf, therefore if you require a pair please choose quantity of two.